Ceramic, tungsten, hematite, zirconium, onyx, titanium, black gold and black diamonds: these make up the hottest new trend in ebony-hued wedding bands. Choosing black wedding bands for your lifetime commitment to each other is a statement of originality that reflects your one-of-a-kind love. Unlike gold, white gold, or platinum bands, your black ring will harmonize with virtually whatever you wear with it. Accessorize with any kind of jewelry you wish, because all precious metals look fabulous beside a black wedding band. Made of super strong ceramic, this is a lower-cost, durable ring that is truly black, through and through, unless you choose an inlay of gold or silver carbon fiber. Unlike most precious metals, ceramic is hypoallergenic and will not react with your skin chemistry to turn your finger green. A ceramic ring can be engraved and re-sized, too. Depending on the style of the ring, you can expect to pay $100 and up for this smoothly stylish black band choice. Tungsten–also called wolfram–is an extremely hard metal that is naturally-occurring. It is named for the Nordic phrase that means “heavy stone.” It is denser than uranium and lead. 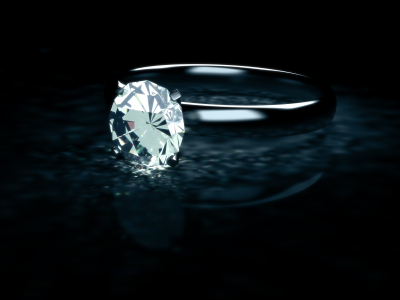 Only a diamond can scratch a tungsten band. It will resist nicks, wear and tear, and will retain its original shape beyond the years you will wear it. Coated with a permanent polish that both protects the metal and enhances its color, your tungsten wedding bands will endure just as your love does, and their unique color will never fail to draw compliments. Tungsten rings cannot be re-sized, however, due to the hardness of the metal. Therefore, you would be wise to order a half size or a size larger than normal to ensure that your ring will fit comfortably your whole life long. Tungsten wedding bands cost between $50 and $250. Hematite is a common, naturally magnetic mineral formed of iron oxide. It comes in shades of dark gray, black, brown, and red. Unlike tungsten and ceramic bands, those made of hematite are fairly fragile, and must be treated gently. However, because hematite wedding bands are not expensive–less than $20 generally–you can easily replace them if chipped or broken. Some couples do not like the idea of replacement rings, and hematite is not a practical choice if you wish your wedding ring to be as enduring as your promise to one another. Durability, corrosion resistance, and hypo-allergenicity are the hallmarks of black zirconium. Is a metal that becomes black and lustrous when heated. Scientists have identified this mineral in pieces of asteroids, stars, and in the sun. Black zirconium is an informed choice for the couple that wishes to forge a connection between an individual bond and the forces of the universe, the most ancient entity known to man. For a cost starting at $100 per band, you and your future spouse can wear the same material you would find in all the points of light on a starry night, instilling your permanent commitment with enduring romance and ancient mystery. Onyx is a crystalline form of the mineral quartz. While the most raw onyx features bands of differently colored crystals, black onyx is not an uncommon find. If you are considering black onyx–classified as a semi-precious gemstone–wedding bands, be sure what you are looking at is naturally occurring onyx rather than black-stained agate, an ubiquitous substitute. Another look-alike mineral widely sold as onyx is actually banded calcite, which is not as hard or enduring as true onyx. As a symbol of timelessness and eternity, onyx is an apt choice for wedding rings. Artisans have used it for jewelry since the days of ancient Greece, and onyx is mentioned in the Bible as well. Many onyx rings pair the black crystal with precious metals or gemstones for contrast. Prices for onyx rings vary widely, depending on the design and setting. Wedding bands made entirely of black onyx have a lustrous, beautiful jet black appearance that radiates inner strength. Black gold does not occur in nature. Rather, jewelry designers have developed a process whereby gold and other metals are combined in order to produce a “gold” alloy that has a charcoal shade with an olive-green tinge, somewhat similar to Tahitian black pearls. If your fiance is a traditionalist who insists on gold wedding bands, yet you are determined to wear black, this would be a good compromise. Other couples might view black gold as a poor substitute for the real thing, an alloy with the soft characteristic of true gold that has none of its redeeming charm. Price for black gold wedding bands range from $350 to around $1,000. Titanium, a metal gleaned from igneous–volcanic–rock, is often called “the space age metal.” Extremely strong yet light in weight with a luster all its own, titanium resists corrosion, scratching, and retains its shape indefinitely. For military and industrial uses, manufacturers mix titanium with other metals to produce the high-performance yet lightweight materials required of satellites, spacecraft, automotive parts, and even dental implants. Named for the Titans of Greek mythology, titanium has a high strength-to-weight ratio that makes it a versatile metal. The best quality black titanium wedding bands are pure titanium that has been processed to darken its natural gray color to shades of black. When you look at titanium bands, make sure to ask the jeweler for the pure metal that has not been painted or adulterated with other substances. You may encounter a palette of black tones in pure titanium wedding bands, including jet black verging on blue, charcoal, and other grays. The strength of titanium prohibits jewelers from being able to re-size a ring once it is created. However, this same strength affords designers the benefit of creating tension-setting style titanium rings that hold a jewel in place by virtue of their tensile strength (more than 100 psi), making the gem appear to be floating in the band. An engagement ring of black titanium and a diamond in a tension setting makes a beautiful counterpoint to the matching black bands you and your fiance will exchange during your wedding ceremony. And your ring set will remain beautiful throughout years of wear. You can have the black titanium bands you select engraved with words that will instill them with your own personal signature. Wedding bands of black titanium range in price from $150 to over $1,000. When you want your wedding bands to reflect the strength of your commitment as well as how your love makes your hearts take wing, black titanium is a natural choice. Diamonds are the ultimate engagement gems, and often reappear singly or in groups on wedding bands. Black diamonds are a stylish break from tradition that are included in many types of fashion-forward wedding rings. Black diamonds, also known as carbonados, are natural diamonds formed from carbon, just like the white variety, yet they have a smokey look. Polycrystalline in structure, black diamonds are more porous than white diamonds and do not reflect light. They are opaque and usually greenish-black in color. Thus, jewelers often enhance black diamonds with radiation to add luster. Black diamonds are heavier than their fairer cousins, and when jewelers cut them–or facet them–they are shaping the stone rather than increasing its brilliance. Because of these factors and others, black diamonds are less expensive than traditional diamonds, although they are currently enjoying a trendy popularity that may result in appreciation of your wedding rings. Black diamond wedding bands typically feature the black gems in a contrasting setting such as platinum, silver, or yellow gold. Often, jewelry designers will combine black and white diamonds for a stunning, glittering affect that is quite eye-catching. Wedding bands that include black diamonds start at around $300 and go up according to the number of gems and the setting. If you and your intended like the trend in black wedding bands but are not ready to completely break with tradition, you may choose to wear traditional precious metal bands studded with black diamonds for a blend of the old and the new. The image that is displayed on this page is EXACTLY what I have been looking for, for some time now! A simple black ring with a single clear stone. If anyone has any additional information on this peice as to what material it is, and especially where I might be able to purchase it, I would greatly appreciate it.